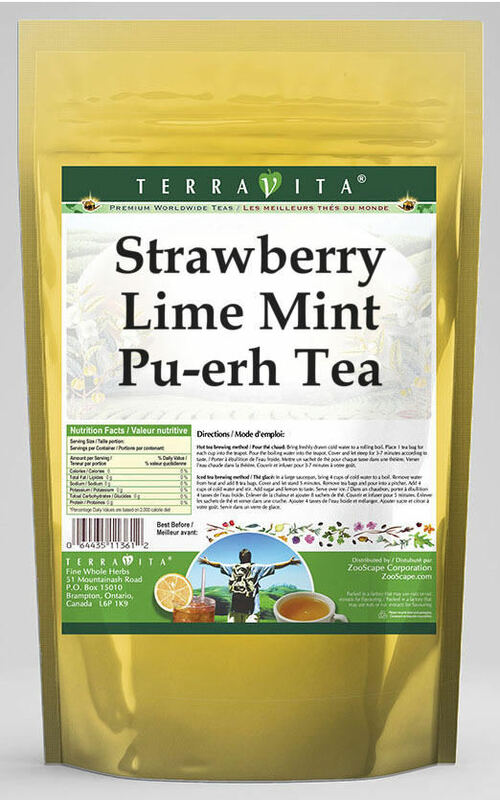 Our Strawberry Lime Mint Pu-erh Tea is a terrific flavored Pu-erh tea with Dried Strawberries, Lime Peel and Peppermint Leaf that you can enjoy again and again! You will really enjoy the special Strawberry Lime Mint aroma and taste! Buy 1 for $15.43Buy 2 / Save $0.82!Buy 3 / Save $3.09! Ingredients: Pu-erh tea, Dried Strawberries, Lime Peel, Peppermint Leaf and Natural Strawberry Lime Mint Flavor.